The New York Giants promote responsible drinking and positive fan behavior at MetLife Stadium. The Giants alcohol management plan ensures that fans have a safe and fun experience. MetLife Stadium is committed to providing a memorable event day experience for all guests. With that goal in mind, we have developed a Guest Code of Conduct which all guests are expected to follow. Stadium staff have been trained and instructed to take necessary actions to ensure the above expectations are maintained. Guests are encouraged to report and inappropriate behavior to the nearest Guest or Safety Service Representative, any Guest Relations Booth or through our text messaging service. TAKE PRIDE IN YOUR STADIUM AND ENJOY THE EVENT! Guests can anonymously report unruly fan behavior by sending a text message. Note: Teams are able to track the origin of the calls. There are 4 “Bud Light Good Sport” designated-driver locations at MetLife Stadium. Fans may also sign up to be designated drivers at all Guest Services Booths. Fans who pledge to be designated drivers receive a complimentary soft drink and a chance to be selected as the Bud Light Good Sport Designated Driver for the Game. Designated Drivers for the Game are recognized on the stadium video board and receive a special prize from the Giants. 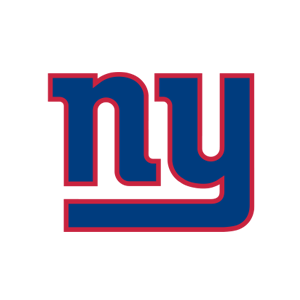 Continuing for the 2016 NFL season, the New York Giants are facing off against the Washington Redskins in the Bud Light Good Sport Designated Driver Challenge. Giants fans who pledge to be designated drivers at MetLife Stadium earn the Giants a touchdown (6 points) in the Challenge. Giants fans who “Like” the Giants Designated Driver Challenge Facebook page earn the Giants an extra point in the Challenge. Please make the pledge to be a responsible Giants fan and help the Giants win the Challenge!